Hello everyone and thank you in advance for any assistance. To cut to the chase, cliff notes version, Before doing anything with you Air Pump, Disconnect your battery and tap brakes a few times to get any extra power running through the system. I believe I grounded out something and fried the ECU during Air Pump removal. Rookie mistake but still very important. About 2 weeks ago, I removed the air pump and all associated parts that are: Air pump and relay, Vacuum Solenoid, Current sensor, and 3 way connector that plugs into the Current sensor. I also removed the wiring associated with the Air Pump. All wiring has been removed/cut up to about 8 inches from the firewall. I have yet to purchase loom and electrical tape to put all wiring back to factory look. I have no capped or electrical tapped my cut wires but at this moment, none of them are touching each other, or the body of the vehicle. I put the key in the ignition to start it, turned it to the start position, heard the fuel pump prime but it kept going. I tried to start the car and it cranked 4-5 times and stopped like it had it a wall. I tried to start it once more, got a small attempt of the starter to crank. Still not enough to start the engine. I quickly turned the key off and pulled it out. No fuel pump noise or sound. Put the key back into the on position, fuel pump kept priming, did not shut off until the key has been removed. Any ideas to what I may have done or what I should check to figure out my issue? Any and all information is greatly appreciated. S2k is currently sitting on jack stands until I can get this figured out. I have other parts to install as well. This vehicle is not my daily, so I have time. I hate to leave it sit but sometimes that's necessary just to get the problem fixed correctly. 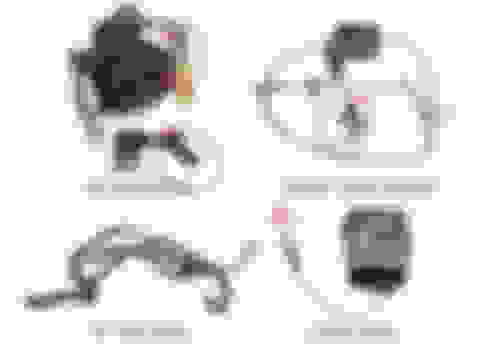 Items removed. Items that are circled have had the wiring removed close the the firewall. 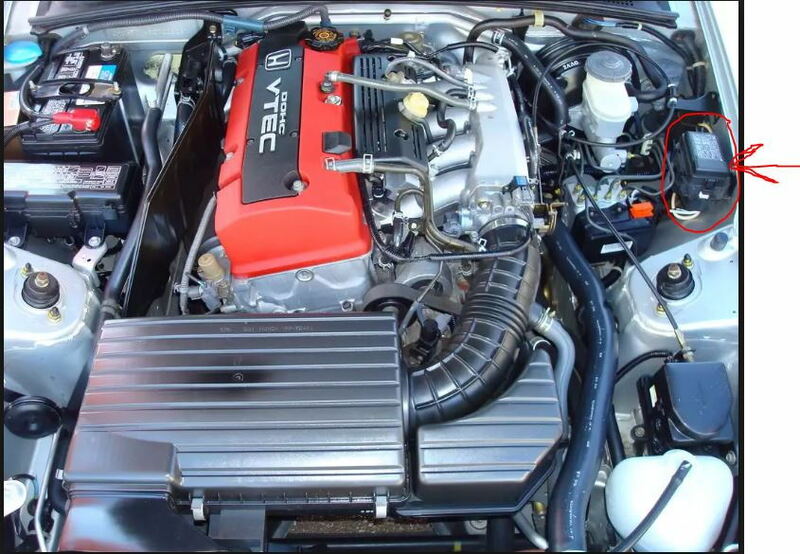 Item with a red arrow had the wire cut about 2 inches from inside the small box you see in the engine bay pick, circled in red with arrow. Box circled in red has the cable that attaches to the Current Sensor cut. Not a pic of my engine bay. I can post pictures if needed. I wasn't unhelpful (but if you _really_ think so then I have no sympathy for you!). Help on this site will only take you so far. You screwed your car's electrical up. You either need a professional to fix it or you need to inform yourself of which wires you cut and what the implications are. The s2000 electrical shop manual is great. The s2000 electrical shop manual is great. I second that... I'm trying to do some fuel pump lock out stuff and I just bought mine on Ebay... yes it is helping me BUT I'm not an electrical guy. I would seriously consider getting the manual. Other than that my post is useless as well... sorry. I am completely aware that I screwed something up. I have the shop manual that has a bit of the wiring in it. I was looking for assistance beyond the obvious. You haven't helped one bit. My first statement directing at you, still applies. Please leave. What the car having electrical or other problems before you removed the wiring? No, please stop acting like a child. Unless you step up and raise your game, by informing yourself, rather than waiting/hoping for someone to fix your problem you aren't going to fix your car. Check out this thread to see how hard I worked to fix my electrical issue. Yes quite a few people were helpful, but I ultimately only made real progress once I got the electrical shop manual. The regular shop manual doesn't have enough detail for challenging electrical issues. As someone who deleted my air pump, I didn't have to cut any wires. Given you did that, you created serious potential for a "challenging electrical issue". With what I know, having studied the fuel pump's electrical thoroughly, I don't know what would cause the fuel pump to constantly prime -- could be the ecu doesn't have connectivity to fuel pump main relay. The ecu triggers the fuel pump when key is turned to key-on. But IIRC the fuel pump main relay (which was a factor is my electrical issue) should switch off the fuel pump after 2 seconds (due to ecu triggering the main relay to do so. My apologies snitm. It came out disrespectful on my part and assumed you were just a moron troll throwing in random moot ideas. I appreciate you stepping in to help me out and put me in my place. Thank you. I will get an electrical manual and go from there. No worries, I can see how my earliest posts on this thread would've upset you, you just want your car fixed without being made to feel the fool. Let me know if there is specific info you need more detail on while you work on tracking down the s2000 electrical manual. The thread I linked to in my previous post does show a fair amount of detail with diagrams of how the electrical to the Fuel Pump runs (from main relay, to ecu, to fuel pump, etc). Though it doesn't drill into air pump and associated engine bay connectors -- and why/if they play a role in causing the fuel pump to remain on pre-start due to some short or open. Anyway, I can take some pictures from my electrical manual and share if there are particular circuits or systems you need more detail on.